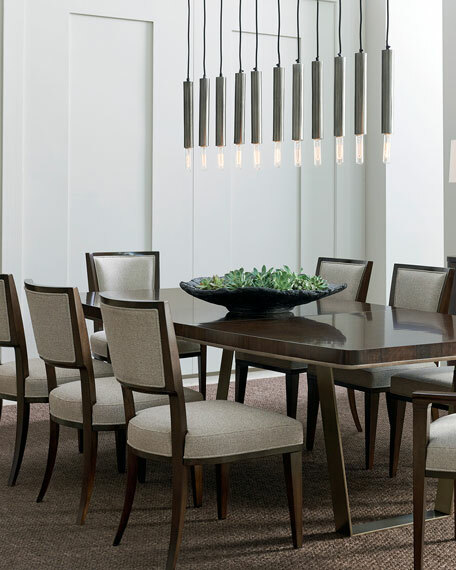 The Curving forms and long horizontal lines of the Streamlined Moderne movement have been updated in this low sideboard that is the perfect height for dining room service. Its high-style appeal comes from the fumed figured eucalyptus wood that has been finished to a high sheen in sultry Aged Bourbon and swept into two dramatic convex curves on each end of the piece. 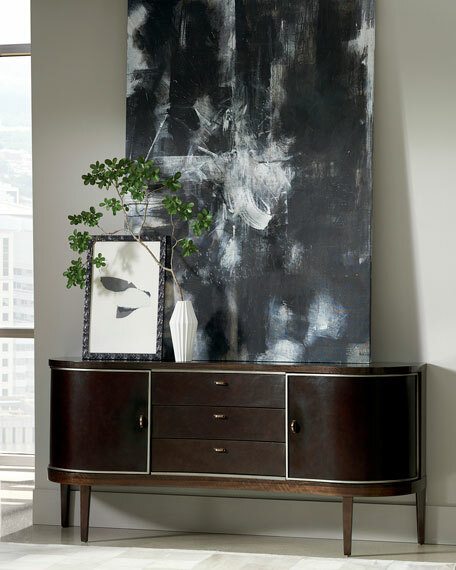 Three concave center drawers complete the graceful flow of this sideboard. They are wrapped in dark leather, trimmed in Smoked Bronze, painted on the inside in Dark Chocolate, and finished with elongated custom metal hardware. 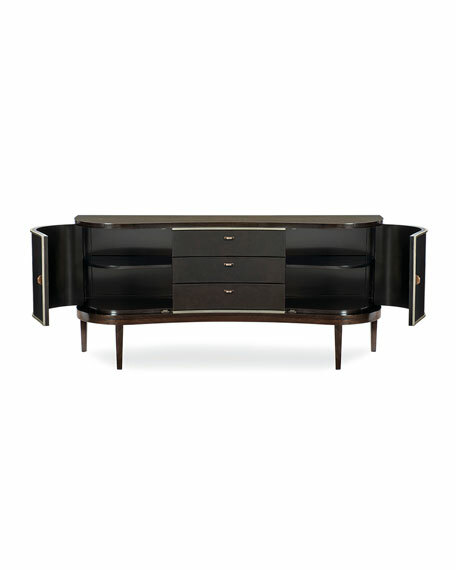 Behind the curvaceous exterior doors, find two cabinets painted in Dark Chocolate, each with one adjustable shelf. 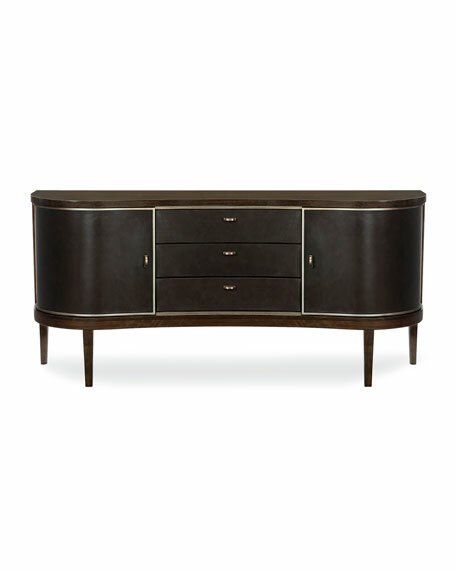 The sideboard rests off the ground on slender tapered legs. Door and drawer fronts are wrapped in leather. 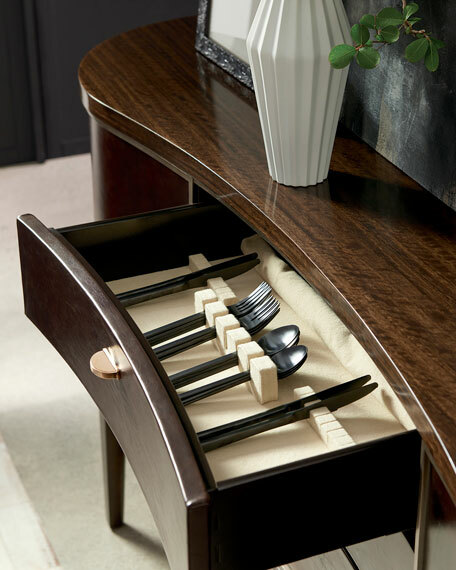 Three center drawers with under mount soft-close guides. Two outside doors with one adjustable shelf behind each door. 72"W x 19"D x 33"T.
Boxed weight, approximately 225.1 lbs. 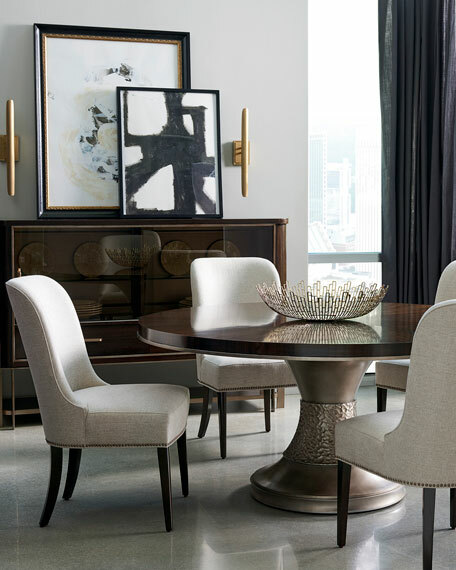 Dramatic sculptural details merge in this round dining table with comfortable seating for up to 6 people. 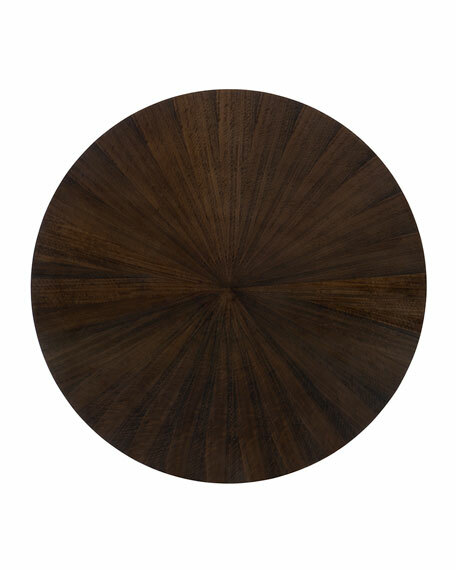 Fumed figured eucalyptus takes on a warm glow with its dark Aged Bourbon finish. 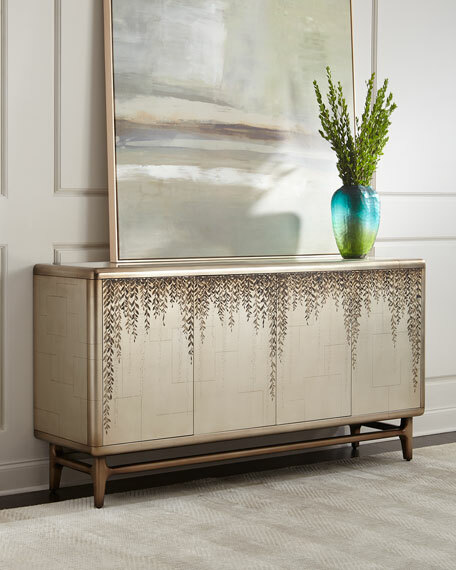 The eucalyptus has been inlaid in a starburst pattern surrounded by a band of Smoked Bronze accent molding. 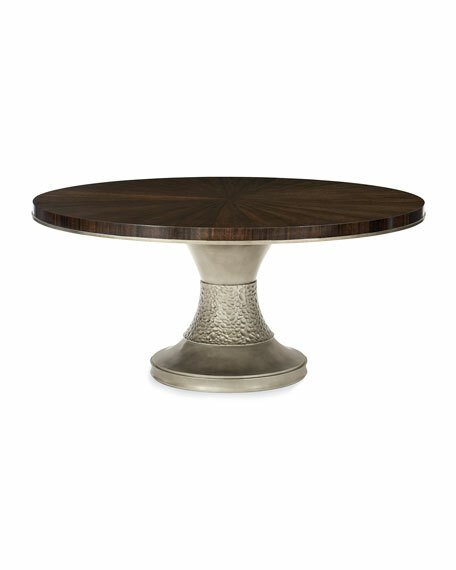 Your eye is immediately drawn to the pebbled Smoked Bronze base that is a work of art on its own. 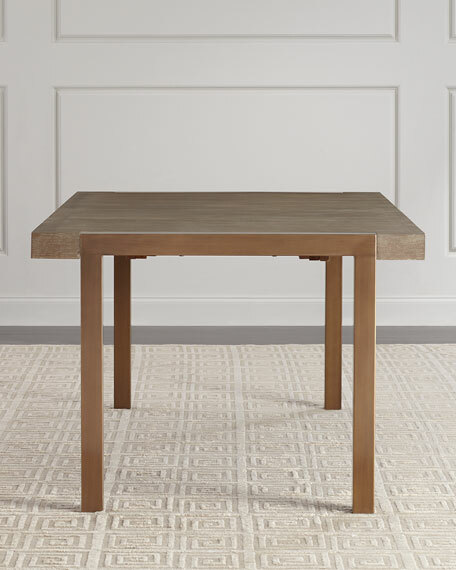 Table top has a radial matched veneer pattern in aged bourbon with smoked bronze edge molding around the bottom of the apron. Boxed weight, approximately 297.9 lbs. 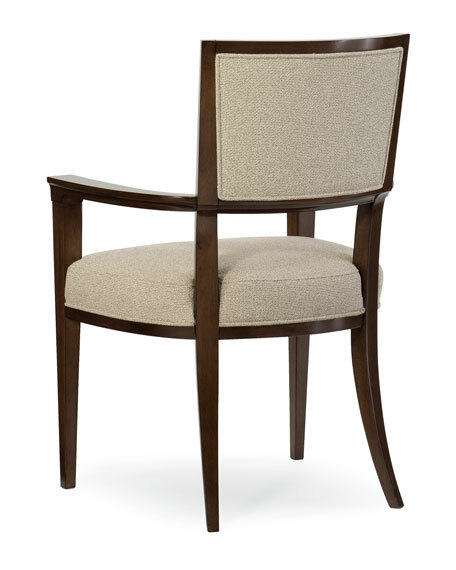 The exposed frame of this contemporary chair has streamlined, classic lines. 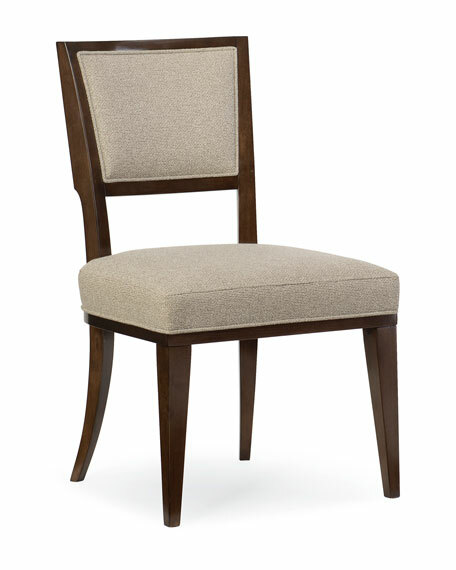 The upper back and tight seat are fully upholstered in a neutral menswear tweed. 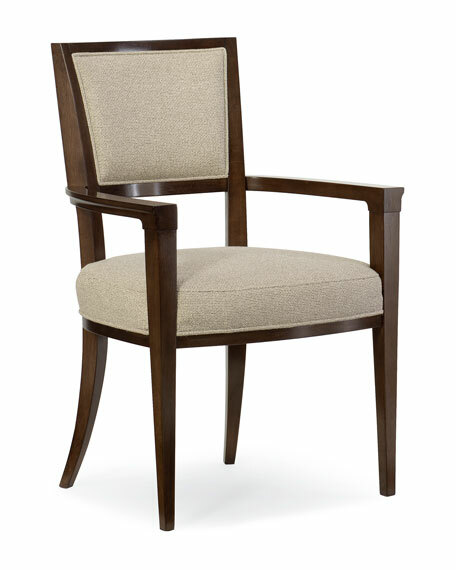 The wood frame has been layered with a Bourbon Glaze to enhance the chairs boxed definition. 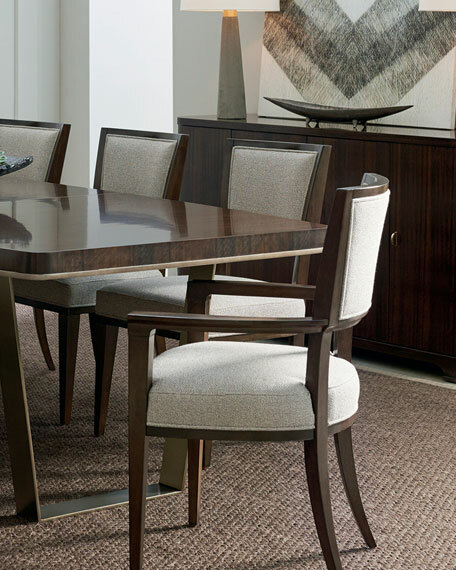 Contemporary tapered sabre legs complete the look. 24.3"W x 24"D x 37"T.
Boxed weight, approximately 29.8 lbs. 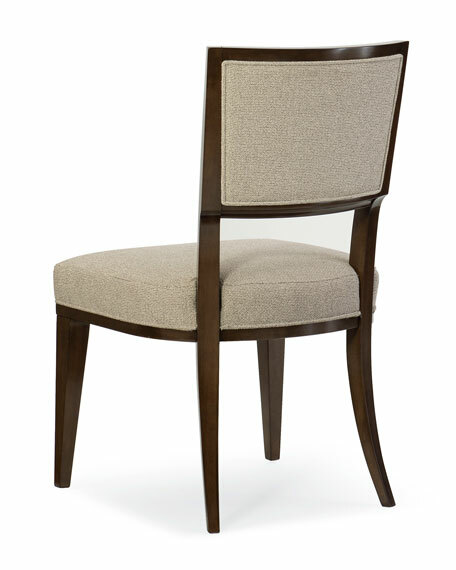 This classic dining chair has been given a streamlined update. 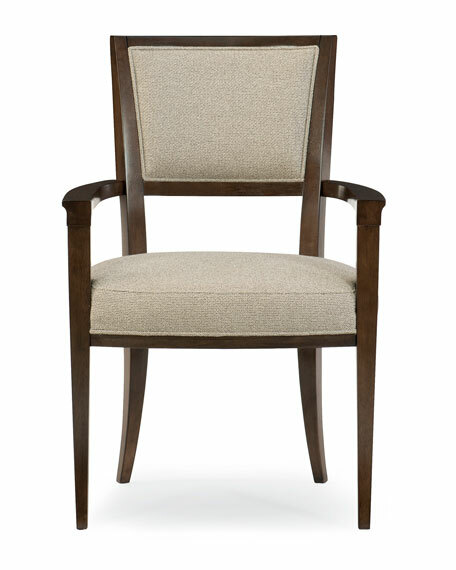 The exposed wood frame and legs have been finished with a Bourbon Glaze to enhance the chairs squared-off appeal. 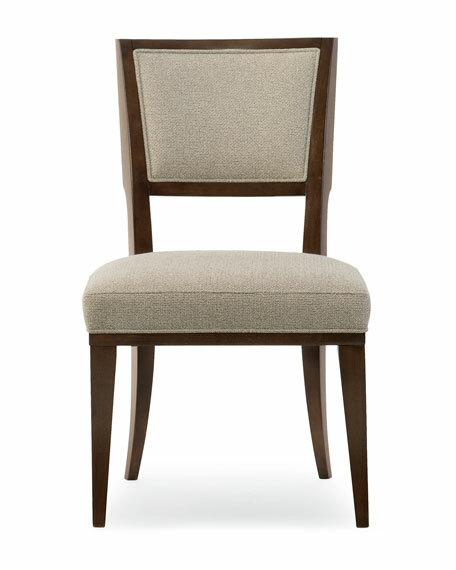 The upper back and tight seat are fully upholstered in a contemporary neutral tweed. 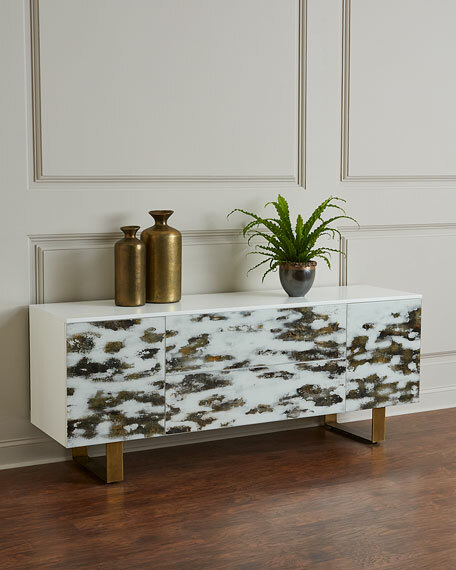 Contemporary tapered sabre legs complete the look. Upholstered seat and inside-outside back. 21"W x 24.3"D x 37"T.
Boxed weight, approximately 24.3 lbs. 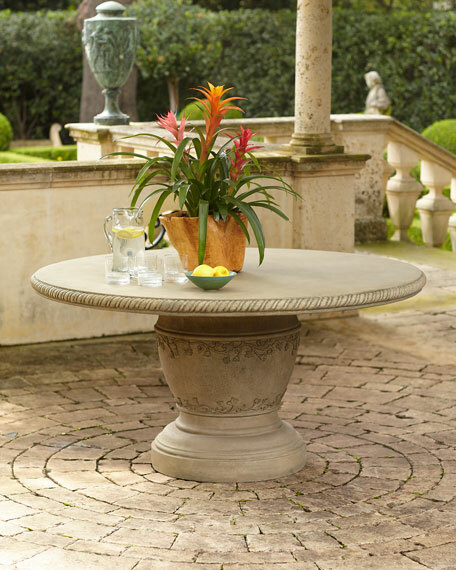 EXCLUSIVELY OURS.Crafted from durable cast stone material, stained to achieve the natural aged granite look.For indoor & outdoor use.Crushed Stone, Polyester Resin, Styrene, Fiberglass.Spray-painted Latex finish.60"W x 60"D x 30"T.Imported.Boxed weight, approximately 199 lbs.